There is always a slight element of fear when testing a new scent. You take that first spritz knowing what it should smell like, but the fear creeps into the scene when you get to what it actually smells like and the fact that you've just committed to being host to that scent. Luckily for me, the new Vera Wang scent, Forever Vera is gorgeous scent that is completely different than what you may expect from the brand. Read on for more details. Vera Wang's scents tend to be quite floral and feminine, and while Forever Vera is undoubtedly a women's scent. It's a sexier, womanly scent compared to her previous girlish blends. The bottle is also less overtly girl themed, and is inspired by Vera's Wedgwood Collection, and designed to tell the story of reflection through the bottle’s delicately hammered glass and elegant rope detail. With top notes of Brazilian gardenia, white peach, and coconut water, middle notes of iris, lilac flowers, and rum, with a base of creamy musk, sandalwood and tonka bean, the overall scent is fresh yet warm. On first spritz, the floral notes are the first to come through, but as it dries down, you get a slight fruitiness that transforms into something more warm and slightly powdery. The overall combination is an interesting scent that is a great scent for everyday, as it has a clean, light quality to it without being too generic. I find it to wear quite close to the skin as well, so it's a great choice if you work in a close area (office or cubicle type set up) and don't want to drown out your co-workers with your scent. Overall, I really like this scent, although it doesn't seem to be the longest lasting. I would have expected longer wear from an eau de parfum. There is something about this scent that reminds me of See by Chloe, so fans of it would enjoy Forever Vera. 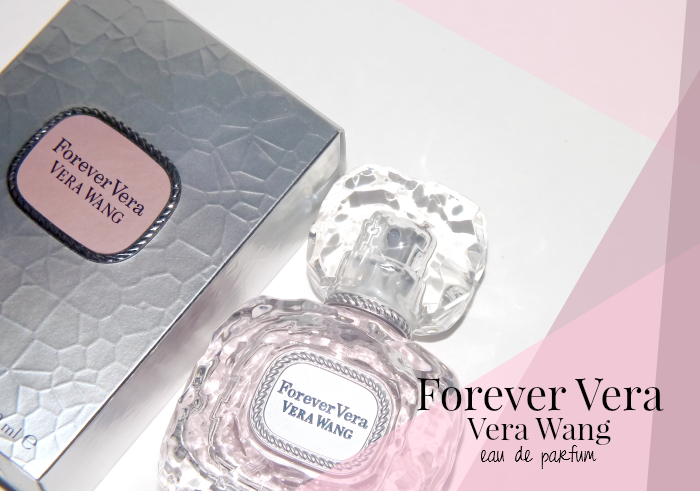 Forever Vera is available exclusively at Kohl's in the US and is available at Shoppers Drug Mart and London Drugs in Canada. Tried this scent? Does it sound like something you'd wear?